Make the most beautiful coconut desserts with colored coconut. 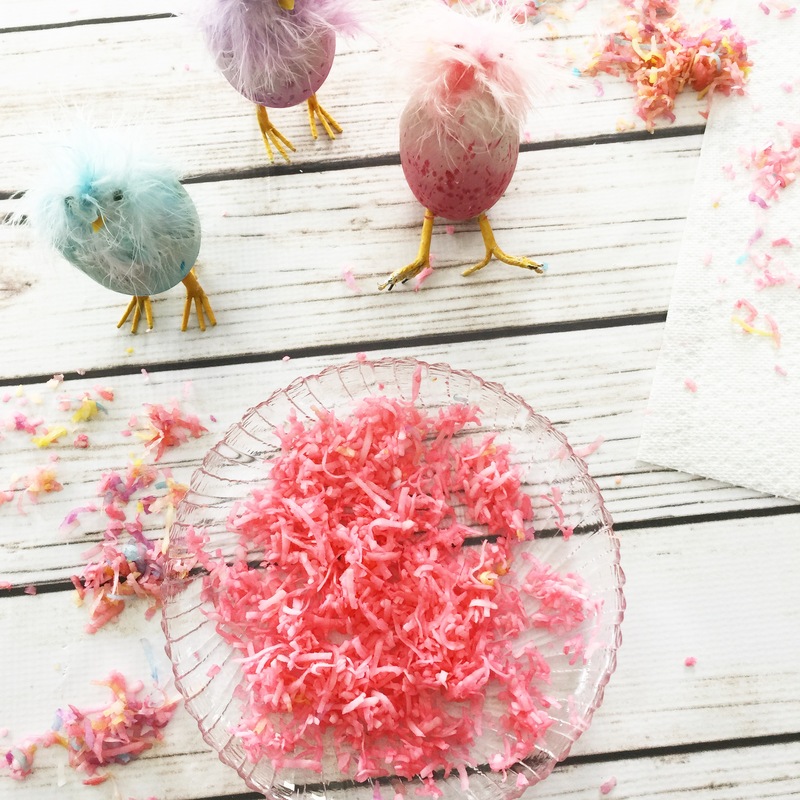 Combine colored coconut and make coconut confetti. Put water in jar. Add food coloring according to the color you want. Shake jar. Add coconut. Shake jar again, until completely mixed. Lay out on paper towel and allow to dry just a bit to make sure any extra moisture is gone. Store in plastic bags in refrigerator if not using right away. If the coconut is too light, separately mix food coloring and water. Mix and add in a teaspoon at a time to darken. If coconut is too light, add in more coconut and continue to shake until desired color. Experiment with combining colors to create new colors. Yellow and Green for a more pastel yellow-green. Blue and red for a lavender. Blue and Yellow for various shades of green.